Some of the world’s epic voyages have been made in small boats. One in which a woman played a conspicuous part was around the eastern and northern shores of Australia 221 years ago. Few persons have heard of it although it was one of the most hazardous attempts ever made to regain personal liberty. This was the exploit of Mary Bryant, a female convict at Sydney Cove. 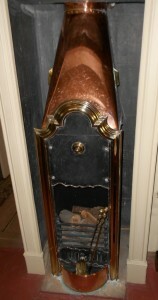 The Governor (Captain Phillip) was extremely impressed by it, as the historical records of NSW show. Mary Broad (Braund or Brand) had come to Botany Bay, in the first place that saved her life – that is, she had been guilty of a capital offense, assault and theft of a silk bonnet and other goods. Sentenced to death, Mary was later reprieved on 13 April 1786 to transportation for seven years; she was 19 when sent on 26 September to the Dunkirk prison ship at Plymouth. Mary behaved in a tolerably decent and orderly manner until discharged to Charlotte on 11 March 1787. A daughter was born at sea during the height of a storm on 8 September, just after the fleet left Rio de Janeiro, and was named and baptised after the ship, Charlotte Spence Braund, on 28 October at Cape Town. Charlotte was described a fine girl by Surgeon White. While escaping back to England with her mother and father Charlotte died at sea on 6 May 1792 aboard the Gorgon. Soon after their landing on 10 February, Mary Brand became the wife of William Bryant, who had been committed at Bodmin Cornwall on 22 December 1783 for personating and assuming the Names of..two of his Majesty’s Seamen and in their Names feloniously receiving part of the ..wages. He had served three of his seven year sentence before embarking aboard the Charlotte. In the course of time their son Emanuel was born. Bryant, a skilled fisherman and boatman, was employed in Port Jackson catching fish for the settlement, a job in which he was retained even after he was found guilty of selling the fish he caught, and given 100 lashes. Prompted by his wife, Bryant planned to escape in his fishing boat, and when the Dutch schooner Waaksamheyd, arrived, bringing provisions from Batavia, Bryant found means to obtain from Captain Smith (Smit), a chart, compass, quadrant, two muskets, ammunition and food. Finding it necessary to admit others to their plans, the Bryants enrolled John Butcher, James Martin, William Morton, Samuel Bird, alias John Simms (all of whom had been sentenced to seven years), James Cox, Nathaniel Lilley and William Allen (all sentenced to life). At that time Bryant had already served his term, his wife and Martin had two years to serve, and Bird only one year. The reason they later gave for their escape was that they feared starvation in the settlement. With no moon, and no ship to overtake them, the party set out on 28 March 1791 in the stolen Governor’s six-oared cutter, with masts, sails and a good supply of provisions with Timor, the nearest settlement, over 3,000 miles away as their destination. Mary, Charlotte and Emanuel were accommodated in the stern sheets. On 5 June, without loss of life, they landed at Cupang (Koepang), the Dutch settlement on the island of Timor, which had taken 69 days. Telling the Dutch Governor that they were castaways from an English ship that had wrecked, they were hospitably received. Some of the party, in their elation at having escaped, could not refrain from talking about their penal home at Sydney Cove and the Governor overhead the conversation. Just about this time there landed at the settlement several other boatloads of voyagers, castaways from HMS Pandora, which had been wrecked on the Barrier Reef after having collected some of the mutineers of the Botany. The Governor handed over the 10 runaways to the captain of the Pandora. He obtained a ship and took them, with his own party to Batavia. There Mary’s husband William and son Emanuel died in hospital. Sent to the Cape of Good Hope by a Dutch ship Bird and Morton died and Cox jumped or fell overboard. 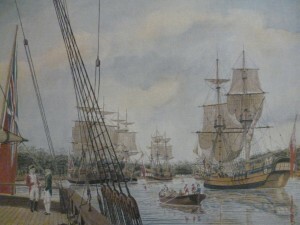 Mary and her daughter Charlotte embarked on HMS Gorgon for England with the remaining convicts, however Charlotte died before they reach England. She is described in the ship’s log as a supposed deserted convict from Port Jackson. On arriving in England in 1792, Mary Bryant and the male convicts were Delivered into Custody of ye Bow St Officers for trial at the Old Bailey. They escaped the death penalty, but were ordered to remain on their former sentences in Newgate Prison until they should be discharged by due course of law. At the trial spectators remarked that they had never seen people who bore stronger marks of sincere repentance. At that stage, a benefactor stepped into Mary’s life. It was not until nearly a century and half later, that it became known it was the lawyer and author Scottish born James Boswell. He interested himself in the welfare of Mary Bryant by giving her financial assistance, helping her by counsel, and appealing to the Home Office for clemency. Six weeks after her original sentence had expired, Mary was pardoned. In the official records is the notice His Majesty has been graciously pleased to grant a free pardon to Mary Bryant, who, accompanied by several male convicts, escaped from Botany Bay and traversed upwards of 3,000 miles by sea in an open boat, exposed to tempestuous weather. 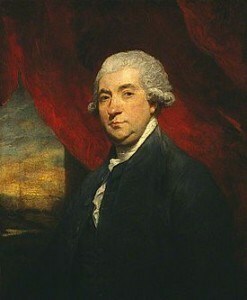 James Boswell sent Mary to a sister at Fowey Cornwall and assured her of £10 yearly, as long as she behaved well. A year later Boswell was still paying the gratuity but this is the last certain record of Mary Bryant. Mary’s four companions were released on the 2 November 1793 due to Boswell’s continued efforts for their clemency. One of them John Butcher, enlisted in the New South Wales Corps, returned to Sydney Cove and in 1795, was granted land in Petersham Hill. masts and oars and six stand of arms and everything that was necessary for marking their escape, which was executed between the hours of nine and 12.
encountered some of the party of escapees some time later as they were embarked on the ship Gorgon at the Cape of Good Hope on the voyage on which Tench was also returning to England. He recalls – a very daring manoeuvre was carried out into execution, with complete success, by a set of convicts, eleven in number, including a woman, wife of one of the party, and two little children. They seized the governor’s cutter and putting into her a seine, fishing-lines and hooks, firearms, a quadrant, compass and some provisions, boldly pushed out to sea, determined to brave every danger and combat every hardship, rather than remain longer in a captive state. Most of these people had been brought out in the first fleet, and the terms of transportation of some of them were expired. Among them were a fisherman, a carpenter and some competent navigators, so that little doubt was entertained that a scheme so admirably planned would be adequately executed. tells the story: At the Cape of Good Hope Captain Parker had met with Captain Edwards of the Pandora, who delivered to him Mary Braud, the widow of Bryant, who escaped to Timor in the cutter, with one of the children, and only four of the male convicts who accompanied Bryant in his flight. Bryant died in Batavia, with the other child, and two of his companions; one of them James Cox, was said to be drowned in the Straits of Sunda. On their arrival in England the story of their sufferings in the boat excited much compassion; and, before the ‘Bellona’ sailed, they had been brought up to the bar of the Old Bailey, and ordered by the court to remain in Newgate until the period of their original sentence of transportation should expire, there to finish their unsuccessful attempts to regain their liberty.